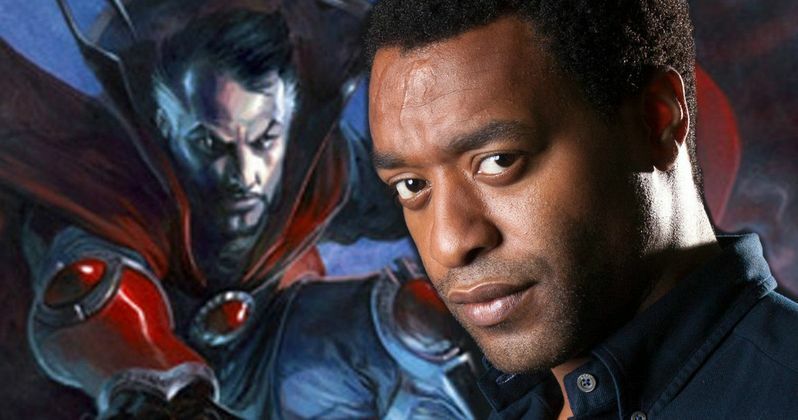 Marvel has entered into negotiations with 12 Years a Slave star Chiwetel Ejiofor for an unspecified supporting role in their Phase Two sequel Doctor Strange. Variety's sources reveal that talks are in very early stages, but the studio is "very high" on the actor for a role. Benedict Cumberbatch was confirmed as the title character back in October. We also reported last month that Marvel was eyeing Morgan Freeman to play the Ancient One. In the comics, the Ancient One was the previous Sorcerer Supreme, who served as a mentor to Stephen Strange. However, it isn't known if that story will be told in this Marvel Phase Three adventure, following an August report that revealed Doctor Strange will not be an origin story, starting with the character already established as a superhero. Scott Derrickson (Deliver Us from Evil, Sinister) is directing from a screenplay by Jon Spaihts (Prometheus), although it isn't known when production may begin. Following his starring role in last year's Best Picture winner 12 Years a Slave, Chiwetel Ejiofor will next be seen in Z for Zachariah, Triple Nine and The Martian.